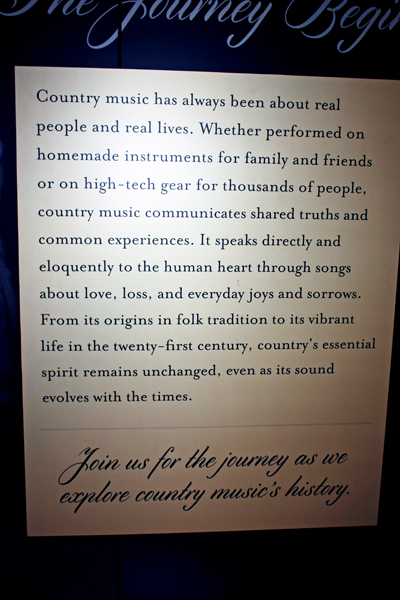 The Country Music Hall of Fame and Museum identifies and preserves the evolving history and traditions of country music and educates its audiences. 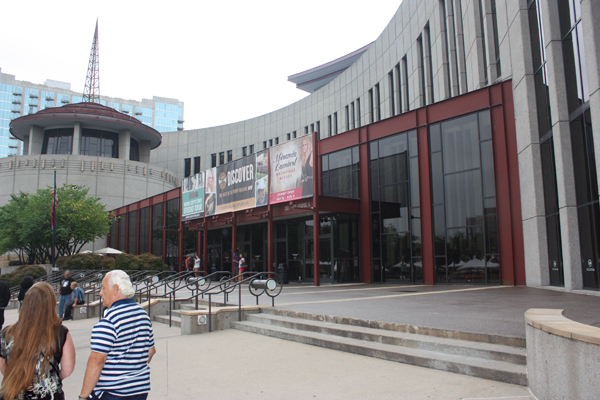 It functions as a local history museum and as an international arts organization, the CMF, located at 222 Fifth Avenue South in Nashville, Tennessee. Scroll down for more history and a some photos, plus a navigational link at the bottom of this page. 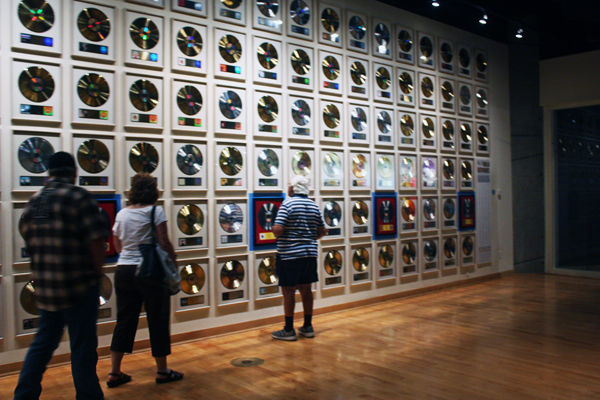 The number of Inductees in the Country Music Hall of Fame and Museum (counting groups as a single inductee) is 124 as of this date in 2014[update]. Of these 16 are women and two are groups that include women. 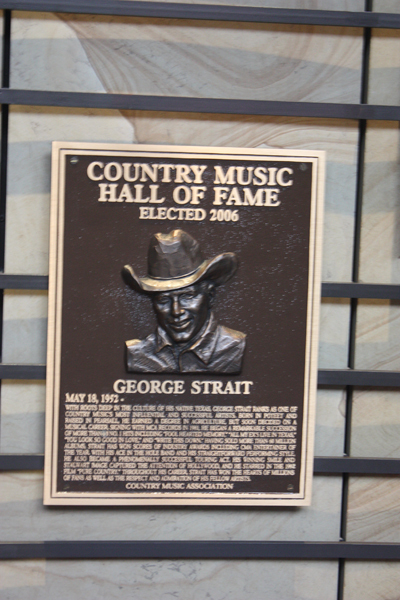 In 1961, the CMA announced the creation of the Country Music Hall of Fame. 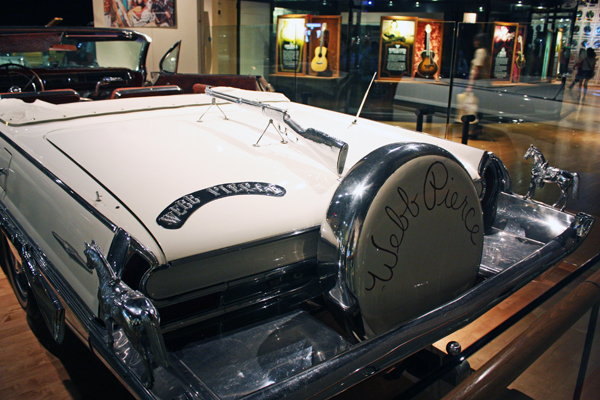 The first three inductees, Jimmie Rodgers, Fred Rose and Hank Williams, were announced at a CMA banquet in November. Bronze plaques, with the facial likeness and a thumbnail biography of each new member, were cast in brass. 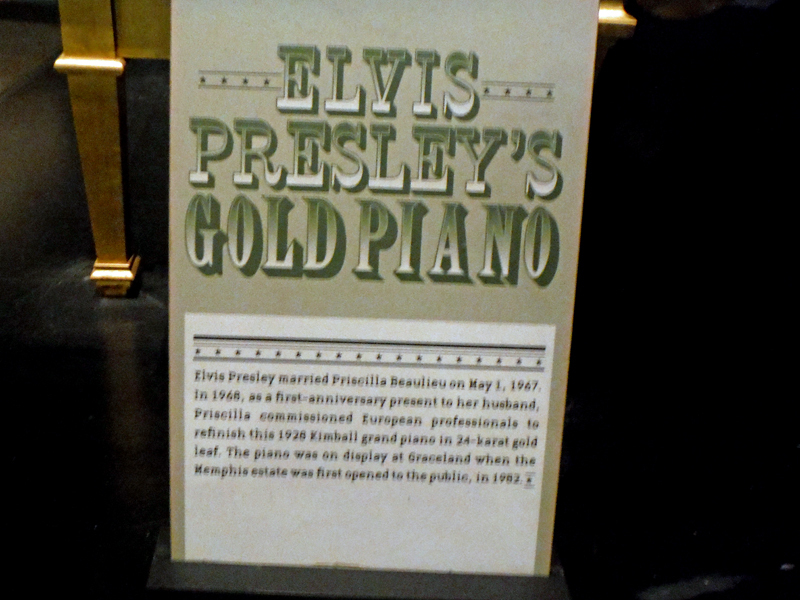 They were unveiled on the Grand Ole Opry by Ernest Tubb. 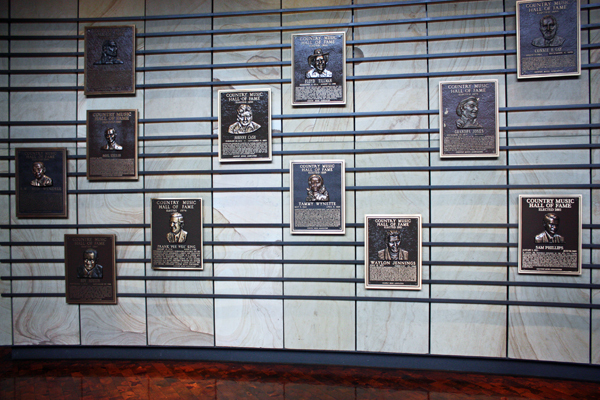 These plaques, and those for subsequent Hall of Fame inductees, were displayed in the Tennessee State Museum in Nashville until 1967. Below are a few photos from a small section of that wall. 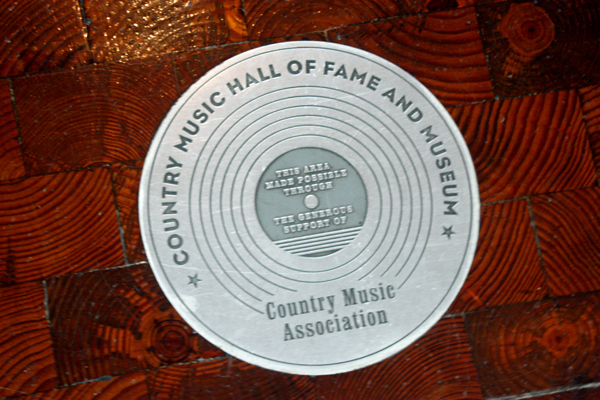 The original Country Music Hall of Fame and Museum opened on Music Row (Music Square East and Division Street) on April 1, 1967. 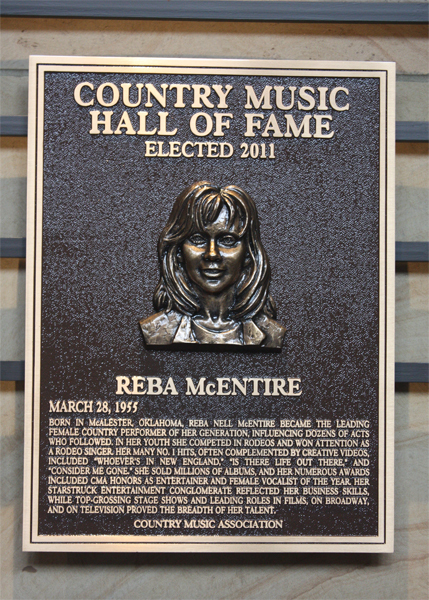 Operations of the museum came to include educational programs, the CMF Press and CMF Records, the Country Music Foundation Library (1968), and the historic sites RCA Studio B (1977) and Hatch Show Print (1986). 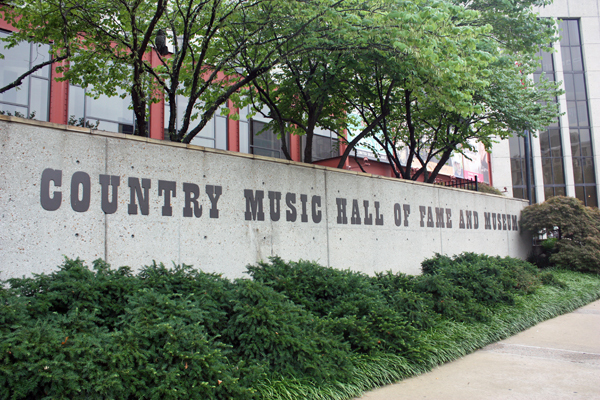 The Music Row location of the Country Music Hall of Fame and Museum was closed December 31, 2000. The building was later razed and a private parking lot for employees of music licensing firm BMI now occupies the site. 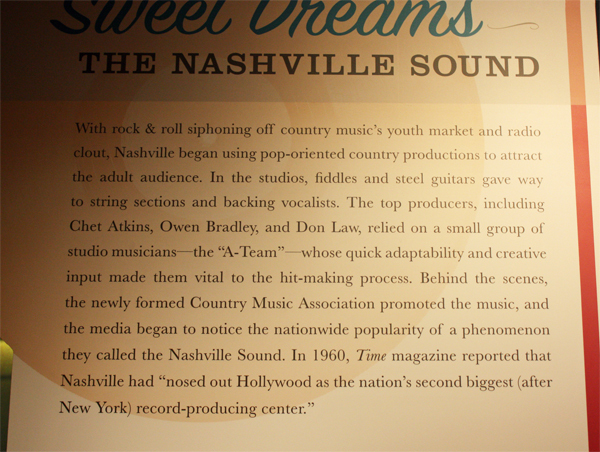 Before they went on to become major stars in the country music recording industry, Kathy Mattea and Trisha Yearwood worked as tour guides at the Music Row museum. 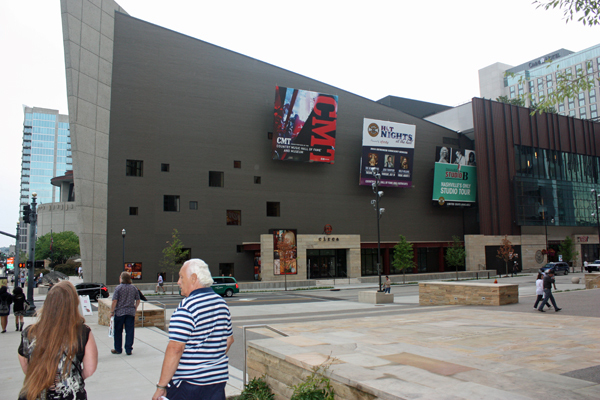 On May 17, 2001, the CMF held the grand opening of its new $37,000,000 facility ten blocks away in downtown Nashville. 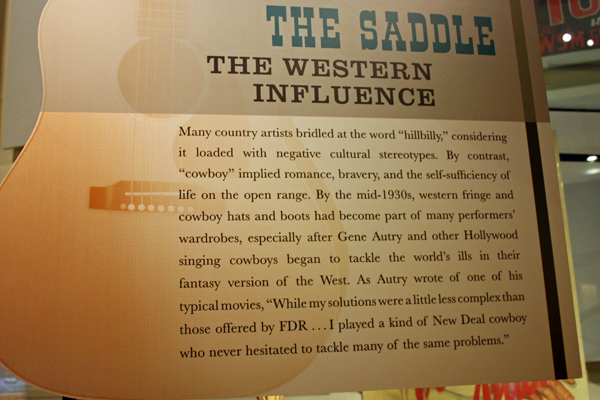 Inside, the museum presents its collection to illustrate country music's story as told through the turns of two centuries. 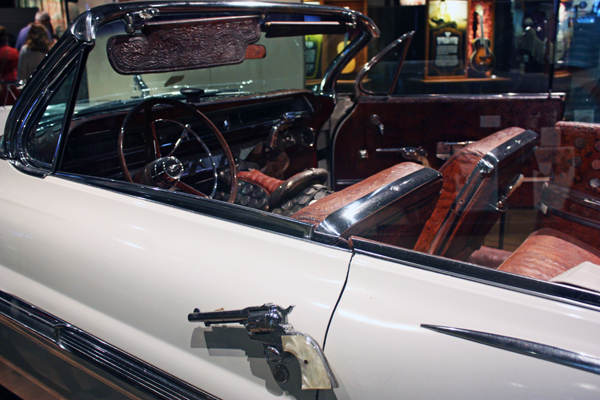 Included are historic country video clips and recorded music, as well as a regular menu of live performances and public programs, a museum store, and on-site dining. 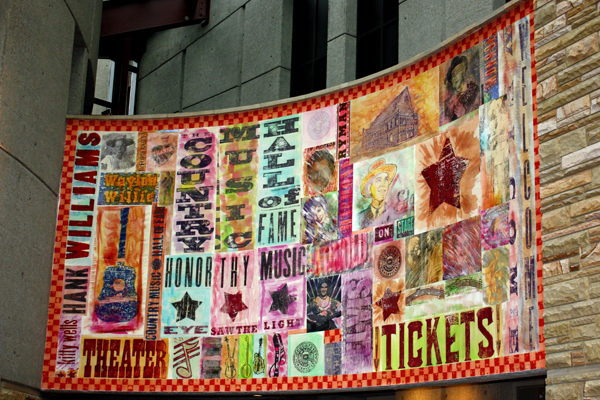 The new building's exterior is laced with symbolic images of music. 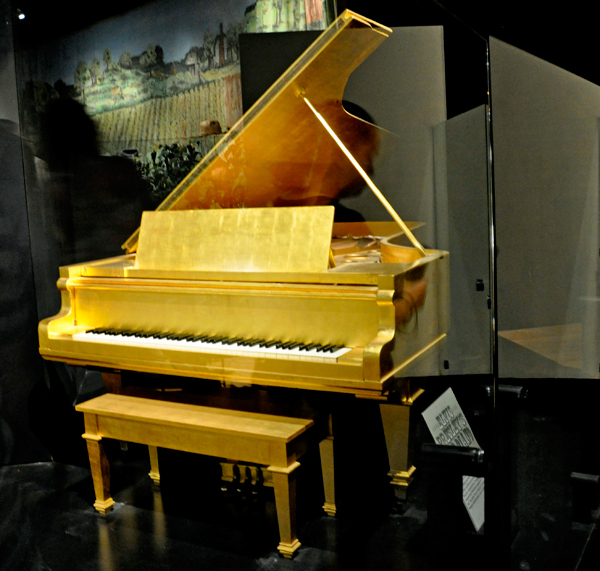 The most obvious are the windows that mirror the configuration of piano keys. More conspicuous images include the diamond-shaped radio mast, which is a miniaturized replica of the WSM tower located a few miles south of Nashville. The round discs surrounding the tower symbolize the different size records and CDs used to record country music. When viewed from the air, the building is in the shape of a bass clef. The northwest corner of the building juts out like the tail fin of a 1950s Cadillac. 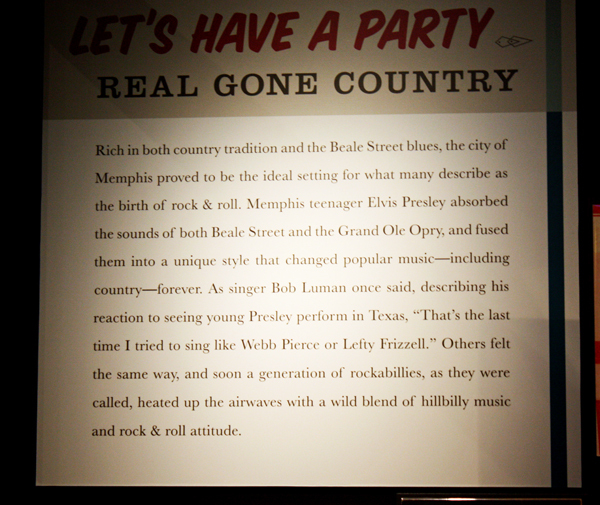 The Country Music Hall of Fame was designed by local architecture firm Tuck-Hinton Architects and museum design firm Ralph Appelbaum Associates. 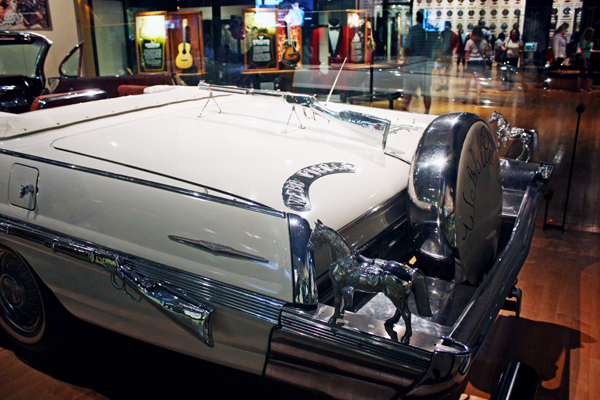 The Country Music Hall of Fame and Museum is accredited by the American Alliance of Museums, certifying that the museum operates according to the highest standards, manages its collection and provides quality service to the public. Of the 8,000 museums nationwide, only some 750 are accredited.